My hot doggin compatriot, Mark Gallant of "The Dogfather" just picked up his second Hot Dog Truck. Aint it a beauty? I am happy for him, he works hard at the hot dog business and I am glad he's finding success. Mark says "treat every customer like he's your friend," and you will be successful. 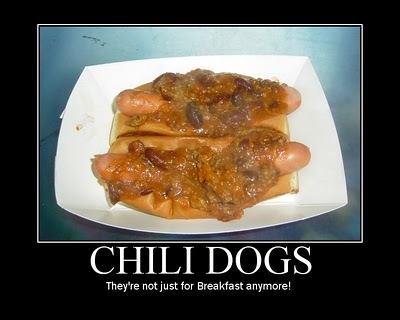 It doesn't hurt having extreme hot dogs either! I can't wait to go check out his new rig. Another reason Mark is successful is he is a "pay it forward" guy. He's always doing things to help his community, like the annual chili dog eating contest he sponsors to benefit a local church. He plans on doing much more charity type stuff and has even started a Facebook group called Food Trucks Paying it Forward. "The food truck craze is sweeping the country. 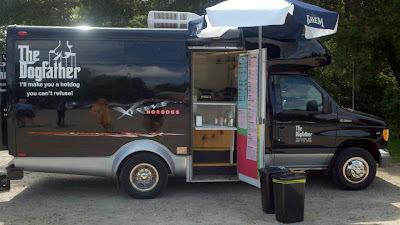 Let's face it...nobody NEEDS a visit to a food truck...but eating off a really good food truck makes you feel good! There's lots of people who can't get out to a truck. Why not take the truck to them? Homeless or veterans shelters, the elderly, family shelters, etc. If you're an owner of a food truck, an administrator of a shelter or home, or someone who just wants to volunteer to help on the truck, please post your thoughts and comments here. Maybe through social media we can make a small difference in someone's life, and they in turn can do the same for someone else." 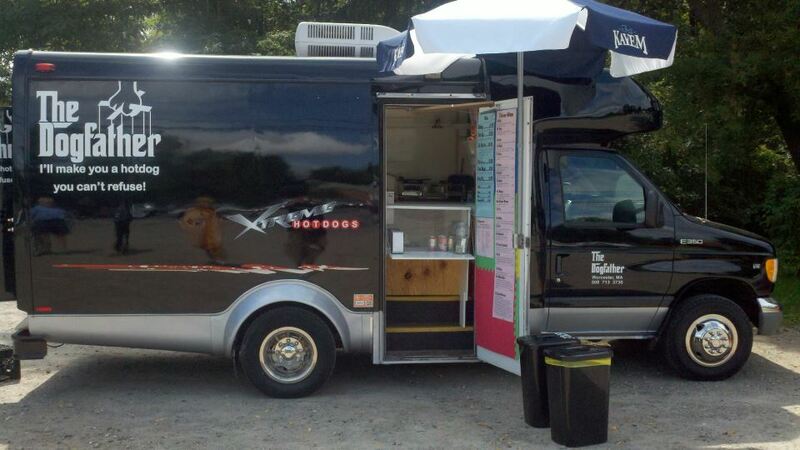 If you own a food truck (or cart or trailer), I urge you to check out his group and join. Think about how you could make a difference- even a small difference- by bringing a little mobile food magic into someone's life. I have taken Mark's message to heart and will be doing something in my community next week, but THAT's another story for another day.